There was a long-standing demand from Patidar and other communities for providing reservation in the government jobs and higher education. There was also agitation/movement as these demands were not considered for reservation. In addition to the demands for reservation and inclusion in OBC category etc there were also economic demands claiming that all the benefits provided to the candidates of socially and educationally backward class should be provided to the candidates of general category also; to create the Patidar Vikas Commission by creating Sardar Patel Vikas Board; special budget should be allocated not less than Rs. 500 crore; economically weaker families should be given loans/subsidies for trade and employment from such board; free of cost training and facilities and for appearing in the competitive examinations should be provided to economically unreserved category; candidates of unreserved category have to pay a high amount towards fees for such examinations whereas reserved category candidates are exempted; exemption should be given to the unreserved category also or the standard for such fees should be uniform to all; Economic Reservation Commission should be created for considering such issues; to constitute Higher Class Development Commission and all the students should be given scholarship, uniforms, text books, educational loans, vehicles for the girls for higher education and further economically weaker families should be given loans/subsidies for trade and employment. It is in this background the government introduced the Ordinance to provide ten per cent reservation on the basis of economic status to economically weaker sections of the society other than the Scheduled Castes, Scheduled Tribes and Socially and Educationally Backward Classes for admissions in the educational institutions and for appointments in the services and posts under the State. Q. Whether, the allocation of 10% seats in educational institutions in the State and for making appointments and posts in the services under the State in favour of economically weaker sections of unreserved category, impugned Ordinance No. 1/2016 is a reservation or a classification? A. The Bench held on Point No. 1 that allocation of 10% of seats for admission in educational institutions in the State and in appointments and posts in the services under the State in favour of economically weaker sections of unreserved category in the impugned Ordinance is reservation only, but not classification. Q. If it is to be held that such allocation is reservation of 10% of seats, whether the State is justified in providing reservation in favour of economically weaker sections of unreserved category only on the basis of economic criterion? Whether, the State is justified in issuing the impugned Ordinance providing 10% of reservation in favour of economically weaker sections of unreserved category, and exceeded the ceiling limit of 50% of available seats? A. Reservation of 10% seats based on economic criteria by exceeding the limit of 50% is illegal and contrary to the ratio laid down Supreme Court in the case of Indra Sawhney vs. Union of India, reported in (1992) Supp. 3 SCC 217. Q. Whether, the State is justified in issuing the impugned Ordinance providing reservation of 10% of available seats for admissions in educational institutions and appointments in services in favour of economically weaker sections of unreserved category, without carrying out any detailed scientific and technical impact assessment study by the experts and without collecting quantifiable and empirical data? A. Unless there is empirical study on the subject, there cannot be any casual approach in the matter relating to separation of group for affirmative action contrary to the rule of equality guaranteed under Article 14 of the Constitution. Thus, the above observations in the judgment referred above, fortify the case of the petitioners. In the above view of the matter, we answer the point no. 3 in favour of the petitioners by holding that the impugned Ordinance is based on the recommendations of the High Powered Committee which has not done any scientific analysis nor did it do any empirical study for the purpose of providing reservation to the extent of 10% in the educational institutions and in appointments and posts in services under the State to the weaker sections of unreserved category. Q. Whether, the State is justified in issuing the impugned Ordinance on 1.5.2016, when the Government Resolutions dated 7.10.2015 and 5.4.2016 granting financial assistance to the students of economically weaker sections of unreserved category are in existence and that too without waiting for result of such benefits conferred under the resolutions? A. With reference to the above point, it is the case of the petitioners that the government has issued resolutions on 5.4.2016 and 7.5.2016 granting financial assistance to the students belonging to economically weaker sections of unreserved category but without waiting for any period to assess the benefits from such Government Resolutions, the impugned Ordinance is issued in haste. But having regard to our findings recorded on point nos. 1 to 4, we are of the view that there is no need to adjudicate on the said issue any further without going into the merits of such contention, and having regard to the findings recorded on the other points, we are of the view that no other findings are required to be recorded on this point. “In view of the aforesaid discussion and reasons recorded herein above, we are of the view that the impugned Ordinance is fit to be quashed and set aside. Accordingly, these petitions are allowed. The impugned Ordinance No. 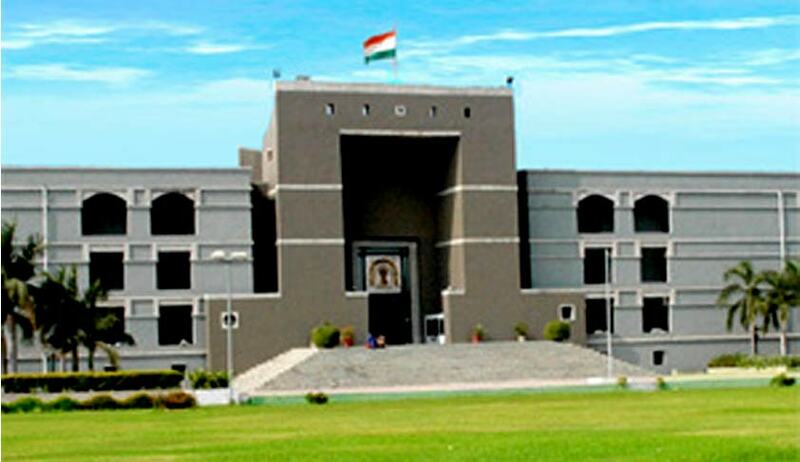 1 of 2016 titled as “the Gujarat Unreserved Economically Weaker Sections (Reservation of Seats in Educational Institutions in the State and of Appointments and Posts in services under the State) Ordinance, 2016, issued by the State Government is hereby quashed and set aside by declaring the same as unconstitutional and contrary to fundamental rights guaranteed to the petitioners under Articles 13(2), 14, 15 and 16 of the Constitution of India. Consequently, we direct that if any admissions are proposed by notifying 10% seats for weaker section of unreserved category under the impugned Ordinance, they shall be treated as not reserved and admissions to be made by treating such quota in unreserved category”. After the judgment is pronounced the Advocate General appearing for the State requests to stay the implementation of the judgment for a period of two weeks. Considering importance of the matter, the Bench has stayed the operation of the Judgment for two weeks.